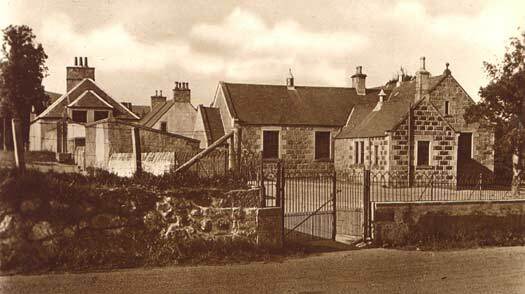 This photograph was taken from a postcard sold by J Davidson, Merchant, Kirkhill. It was bought by the author of this site at an Antiques Fair near Aberdeen in September 2002.
behalf of his uncle, then aged six. This was not known until some obscured details were revealed after it's purchase.